The day after the weekend Oto Nemsadze performed ‘Keep on Going’ at Eurovision in Concert in Amsterdam, he has released the music video belonging to it! Shot in solely black and white we see Oto walking along the beach, facing obstacles but ultimately overcoming those and walking to his freedom. 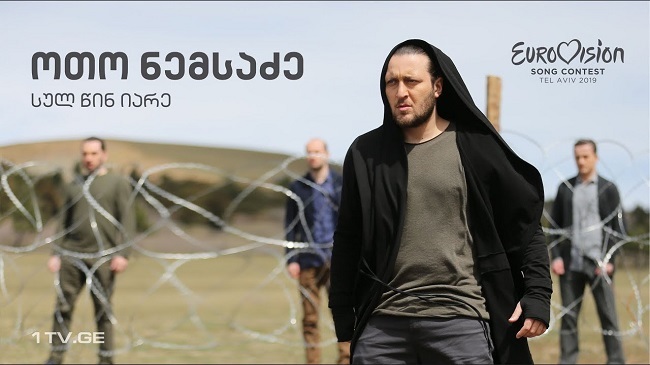 The Shavnabada ensemble and 50 selected people feature in this video, directed by Giorgi Ebralidze. Oto will be competing in the first semi-final on May 14, performing as #11! Do you like the video for ‘Keep on Going’?